Really, it is mint leaves brewed into tea. It is so, so good! My favorite kind is Apple Mint. 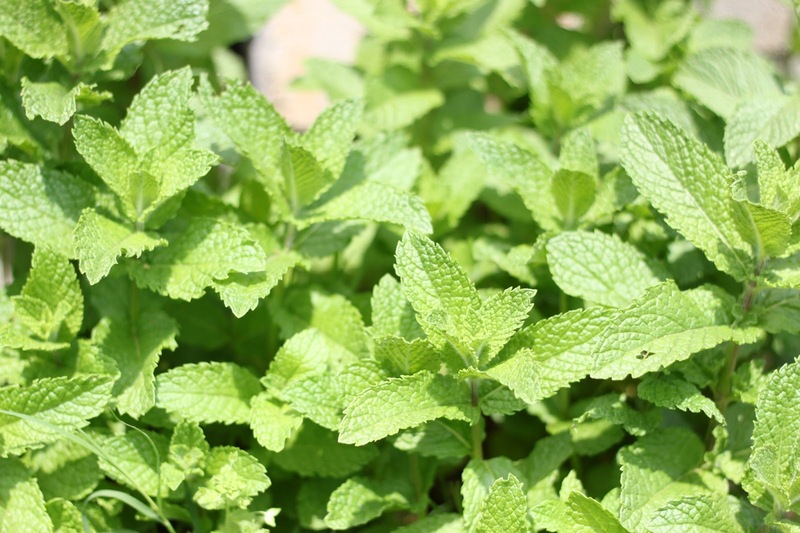 The kind I have growing currently is Spearmint, very tasty and refreshing as well. Cut yourself a nice bunch of stems. Remove the leaves from the stems, wash them and dry them slightly by patting them with a clean tea towel. Fill your pitcher to the "water" line and pour into the iced tea maker. Line the brew basket with a coffee filter and STUFF the tea leaves into it. Fill the pitcher with ice and pour 1/2 C sugar over the ice. You can adjust this to taste. This is just the right sweetness for me. Select the *strong* brew setting, press the brew button and let it do it's thing! 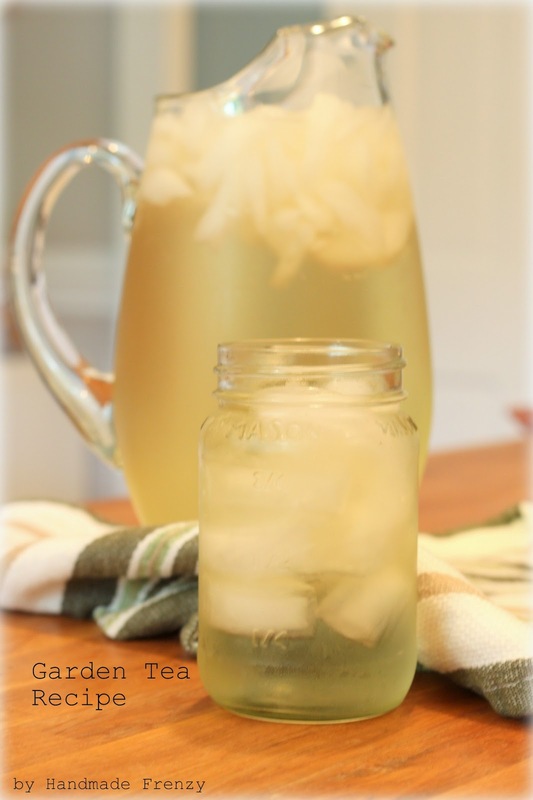 Then pour yourself a nice big glass of freshly brewed, ice cold, sweet, mint tea!